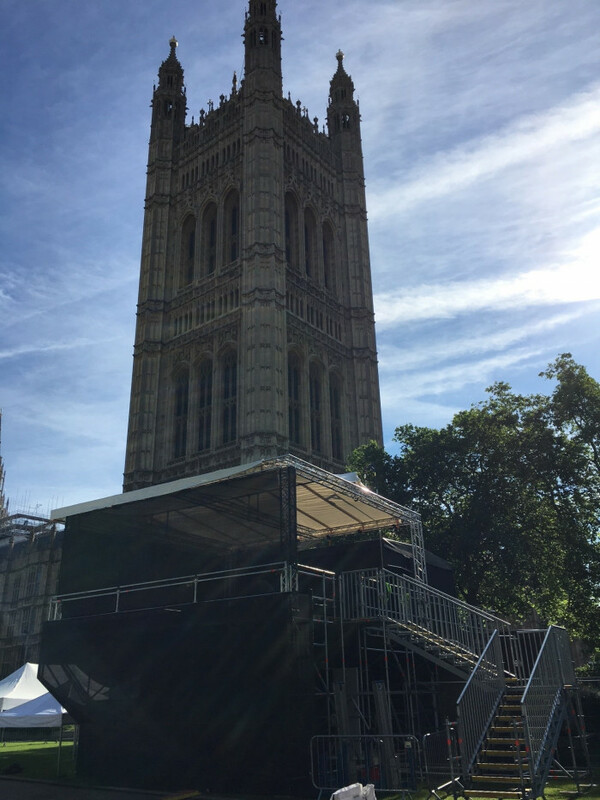 During June 2016 the UK held a referendum on its membership of the EU, by one of our long standing customers working within the TV and Media industry. 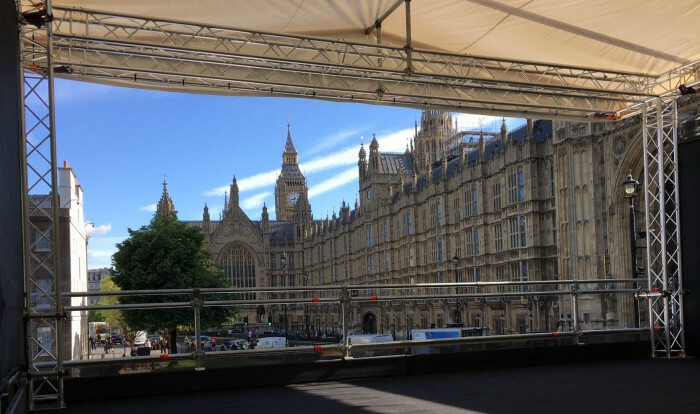 We were tasked to supply Layher Scaffolding items which included public access equipment for the erection of a live broadcasting structure, for both ITN and SKY News to use during the vote and result. 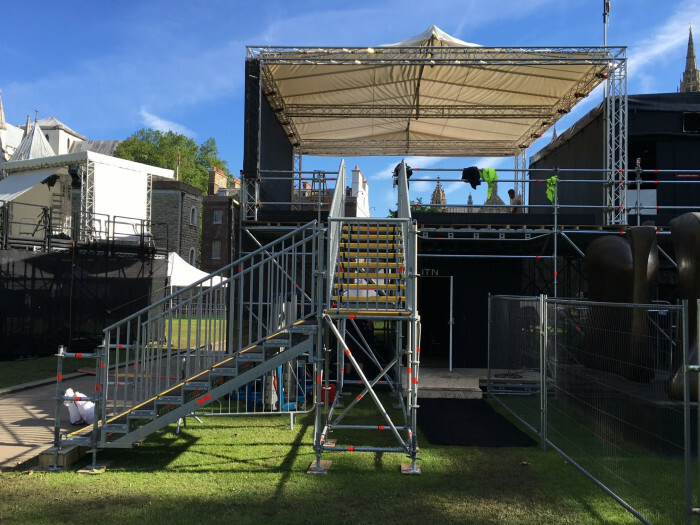 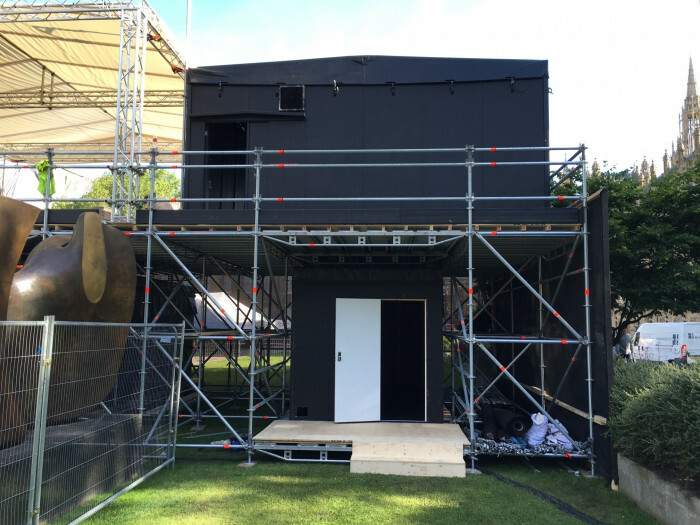 The Layher equipment supplied was all new and incorporated a public access stair along with overhead protection and modular privacy units for the client’s use. 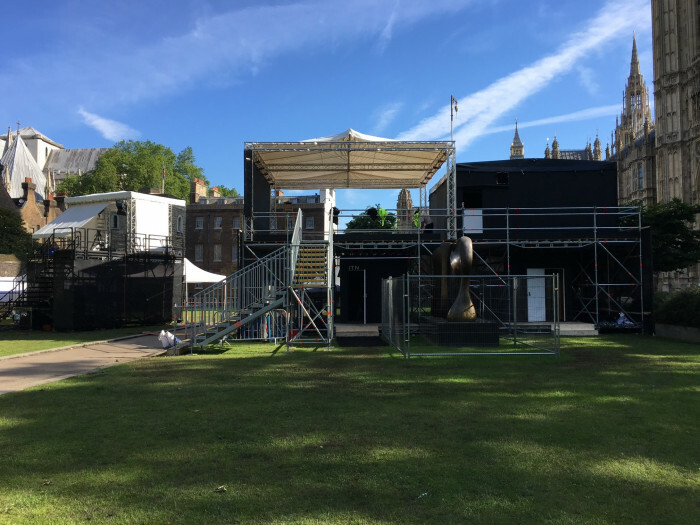 This structure was to be erected within a green space at the side of the Houses of Parliament, within a strict time period and secure area both in terms of people working and also vehicles being used to firstly deliver the equipment and then collect it again. 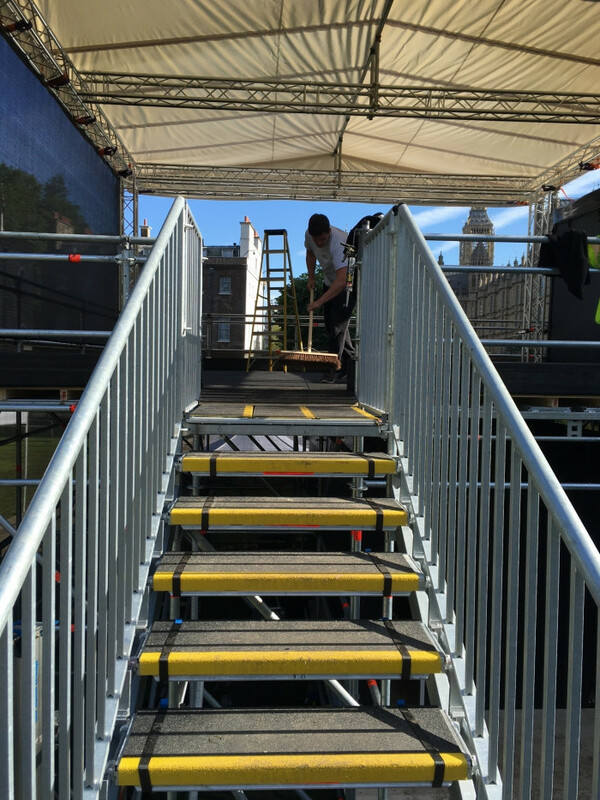 Our “Total Reliability of Supply” ethos from office to operational and logistics staff ensured the correct equipment arrived at the right time, at the right place and then left when the project finished. 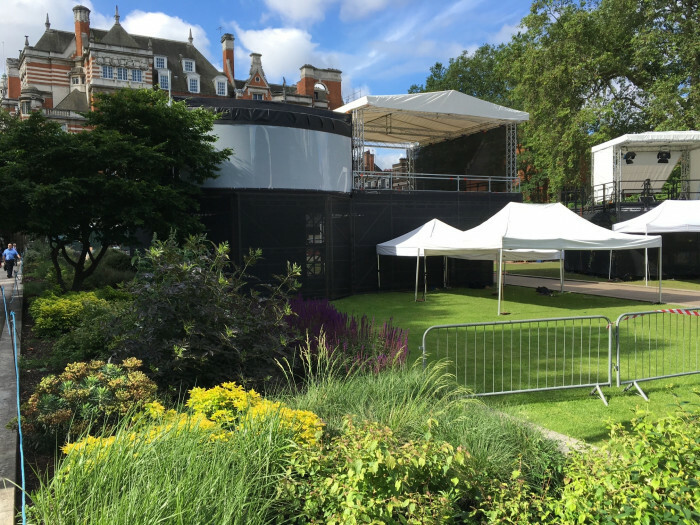 I just wanted to thank you for the new Layher materials you supplied for Abingdon Green. 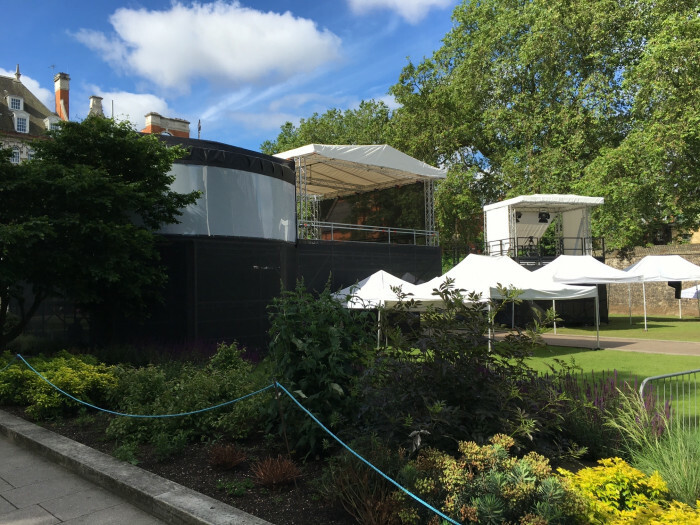 All of our customers have said how good it looks, and wanted me to pass on their thanks as well"